Data Anonymization is considered a data processing technique that modifies or delete personal information resulting in anonymized data that cannot be attributed to any individual. It is mainly a process of detecting and removing sensitive data from a document while keeping its original format. Which kind of data is that? What must be removed and what is allowed to remain? According to the GDPR, personal data in a digital area can be anything from a name, a home address, a photo, an e-mail address, bank details or even IP address. The most important benefit of using this Anonymization technique is that the data resulting from it, is not considered personal data regarding the requirements of the GDPR. Data is secure and business will not need any permission to process it. This anonymized data has the potential for many more applications: it can even be sold, stored for indefinite time or exported abroad. Many industries are now taking advantage from this technique as, for instance, the health industry for medical documents or in law firms for data processing tasks or automotive sector to manage customer opinions. 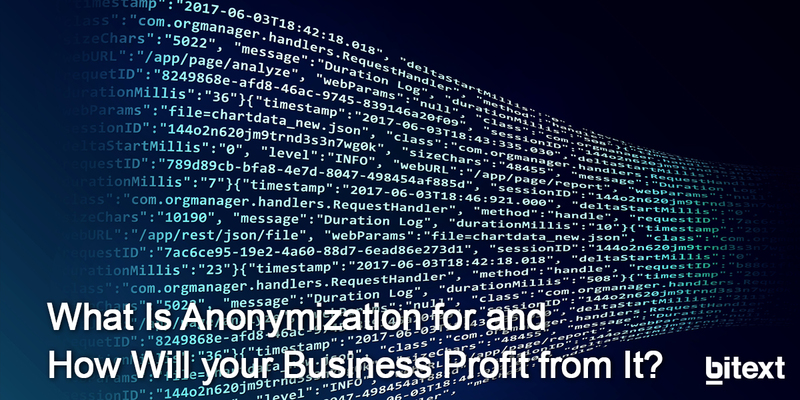 If performed correctly, Anonymization is definitely the best method to ensure the safety of data collected on the net. 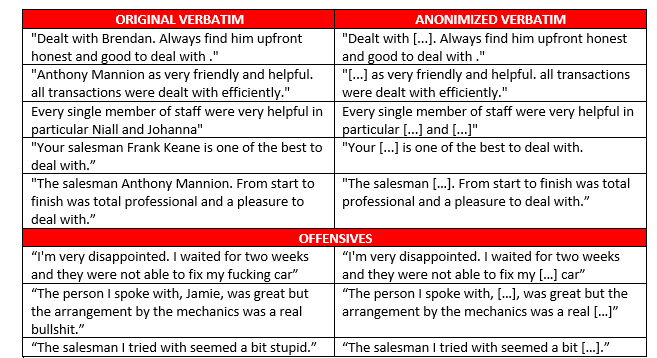 Do you want to know more about Anonymization?